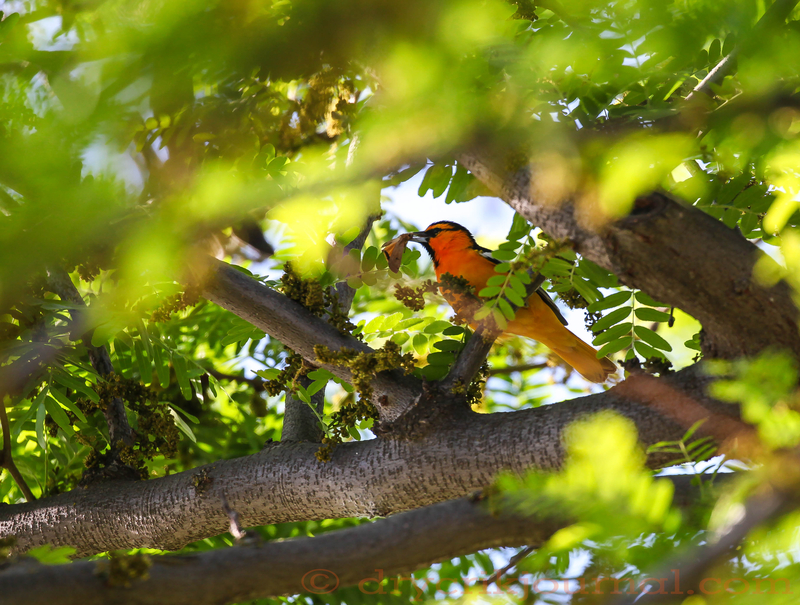 This entry was posted in Photographs, Poems 2015, Ranch Journal and tagged Bullock's Oriole, Cherry Tree, garden. Bookmark the permalink. I have a sour cherry tree in my backyard and every July I do battle with the squirrels to harvest enough to use. Damn the squirrels and their fat cheeks. Yes, getting along with Mother Nature can create some dilemmas. Good luck in July! You know how it goes, Totsie– but what a pretty bird!